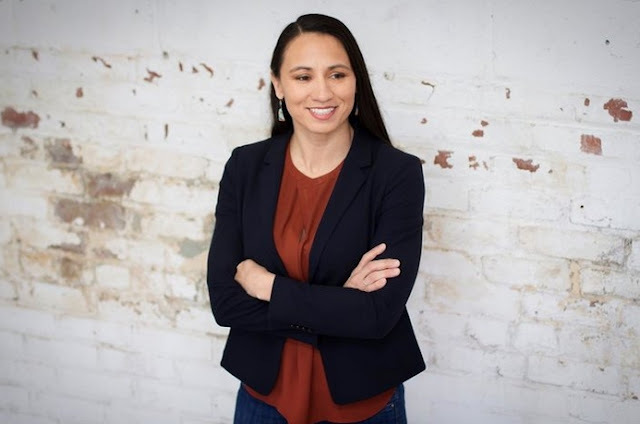 Sharice Davids narrowly beat Bernie Sanders-backed candidate Brent Welder for the nomination in Kansas’s Third Congressional District. 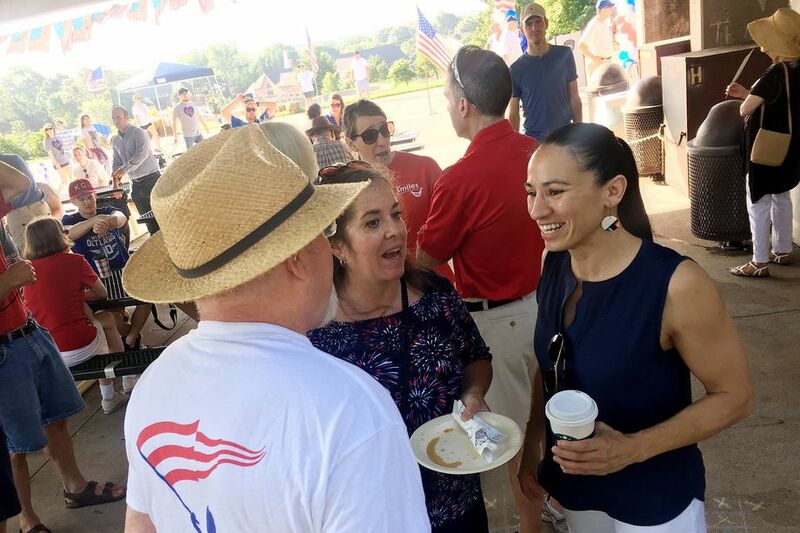 Democratic congressional nominee Sharice Davids might just make history come November. On August 7th, Davids won a tough six-way primary race to become the Democratic nominee for Kansas’s third congressional district. In November’s general election, she’ll face off with Rep. Kevin Yoder, the incumbent Republican who is running for his fifth term in office. If Davids wins there, she’ll be the first openly LGBTQ person to represent Kansas at the state or federal level. Vox reports that she might also make history as one of two Native American women elected to Congress this year, alongside Democratic candidate Deb Haaland of New Mexico, who is expected to win her own congressional race in November. Davids, a former Mixed Martial Arts fighter and White House fellow during Barack Obama’s presidency, is a first-time candidate for Congress. Her closest competitors in the Democratic primary were progressive candidate Brent Welder, a lawyer who was endorsed by Bernie Sanders and progressive rising star Alexandria Ocasio-Cortez, and “relative moderate” Tom Niermann, a history teacher backed by local elected officials. Davids won 37% of the vote, edging out Welder (who received 34%) by 2,088 votes. Davids, who was raised by a single mom and worked her way up from community college to Cornell Law School, won endorsements from Moms Demand Action For Gun Sense in America, Victory Fund, and EMILY’s List during her campaign. A groundbreaking number of women filed to run for the House this midterm cycle — and now it’s official: A record number have secured major party nominations for a seat in the lower chamber, per data from Rutgers’s Center for American Women and Politics. As of Tuesday night, at least 168 women have captured a Democratic or Republican nomination for the House, surpassing the previous record of 167. 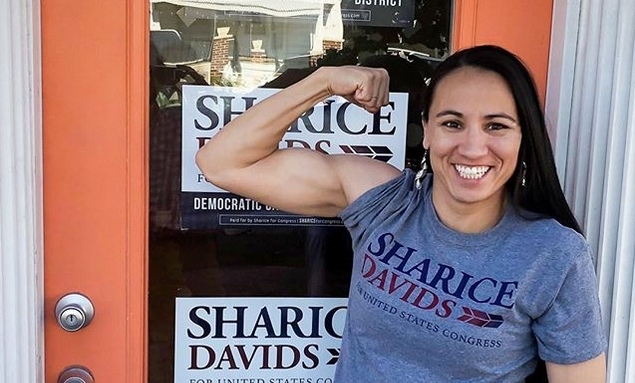 Responses to "Sharice Davids won her primary and could be the first Native woman elected to Congress"
Sharice is smart and strong and doesn't let go. She will fight for her constituents just as she fought in the ring. It's amazing. We need more people in congress who are running to represent people. It's fabulous. We need more people running who want to represent people instead of special interests.